The full-feature movie about the crossing of 12 “special needs” teenagers, in three weeks from Vorarlberg to Tirano over Austria, Switzerland and Italy in the summer 2011, with the support of a Via Alpina Travel Fellowship. Echoing the short movie by Christian Köhlert in which the teacher and social worker gave their perspective, the children themselves are at the foreground in the movie “Via Alpina”. 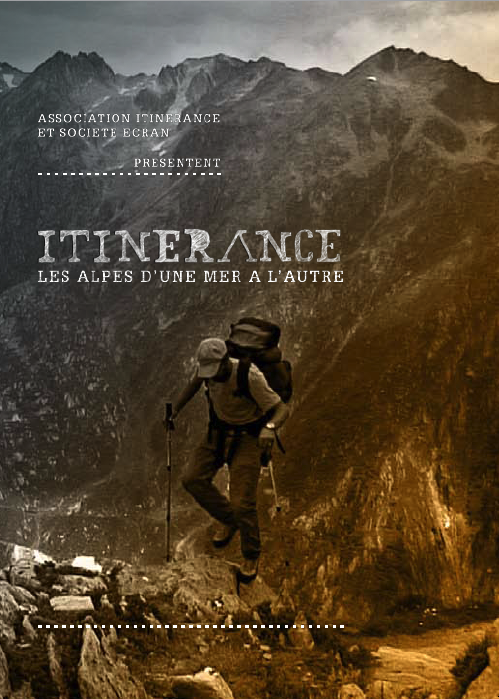 They share their impressions, their difficulties and their joy along the trail – a hike through three alpine countries but also an interior journey along which each of them tremendously gained in maturity. DVD (57 min.) available for 15€ from viatalander.blogspot.de or www.rubin-film.de/Alpina.html. The film of Vincent Tornay’s trip along the Red Trail. 50-min. DVD in French with German, Italian and English subtitles, 40 CHF. An excerpt and an order form are available here. The blog of this adventure is published on Vincent’s website, www.itinerance.ch.